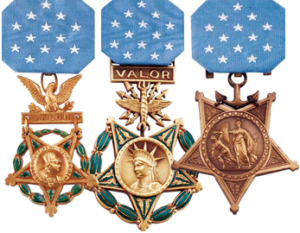 There are three Service Cross awards: Distinguished Service Cross (Army), Navy Cross (Navy, Marine Corps and Coast Guard), and the Air Force Cross (Air Force). Service men and women have been recognized for their valor during peacetime and conflicts other than the major wars. 10 Air Force Cross recipients. You will find the full citation of each recipient listed here in alphabetical order.